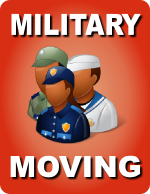 If you’re in the military, you may find that you need to move frequently during your career. You want a well organized, reliable and professional military GSA moving company to manage your relocation. Discount Miami Movers is an agent for ABA Moving who is the military’s expert professional moving partner. We are focused on providing quality services as military GSA movers to take special care of our military clientele. Discount Miami Movers has a dedicated storage warehouse facility for the military that meets the most stringent standards for security, cleanliness and organization. Our facility is regularly and randomly inspected to ensure we adhere to these quality standards. Discount Miami movers has a dedicated team to coordinate all military GSA relocations that consists of packers, loaders and drivers who follow a program to uphold all quality and safety standards. Our dedication to quality ensures a successful, seamless military moving experience. Discount Miami Movers is the military movers of choice for all South Florida local government agencies. When it comes time for the sensitive task of government and military moving, trust your relocation to the experts at Discount Miami Movers. We are committed to providing the highest level of quality service to military members, government personnel and their families for all local and long distance relocation requirements.